Hopefully you will not miss the comparison of Wisdom preparing a feast in this Sunday's first reading. It is a meal for those who would partake of it. It is not just a meal, but a feast. A huge banquet! It is so important that it mentions the house, the building that was going to be used. Now Wisdom has built her house; she has hewn out of it seven pillars. It's not just a shack by the side of the road, but it's going to be a mansion. Even today when we see a house with one or two pillars, we realize that it's a pretty big house. Here, Wisdom describes the house as a house of seven pillars. It is almost beyond imagination. In that house is going to be enough room for everyone who wants to come. In that house there is going to be a banquet. Our text says: She has prepared her meat and mixed her wine; she has also set her table. She's gotten everything ready. The original says they've slaughtered the beasts. And they've mixed the wine with spices so that it's as tasty as it could be. The table is set. Everything is now ready.What's left? Of course, it's the invitation. She has sent out her maids, and she calls from the highest point of the city. They're going to announce that the banquet is ready to begin, they are going to go to the highest point where everyone will see them and everyone will hear them. No one is to be excluded for here is the invitation: "Let all who are simple come in here!" 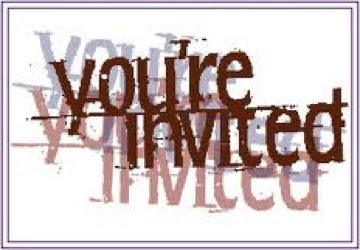 The invitation is to everyone. Everyone who wants to come can feast at the banquet that Wisdom has prepared. She says it's an invitation to those who have a need of their heart. A need that is in their heart, something that is missing in their life. Whether they realize it or not, what is missing is wisdom, the wisdom of God which is able to make them wise for salvation. The invitation says: Leave your simple ways and you will live; walk in the way of understanding. Wisdom is going to feed them with a banquet that would cause them to live, not live day by day, but live beyond the days of this life into eternity.